The first time I set foot in Fuoco di Napoli, I was blissfully ignorant of the melodrama surrounding the restaurant. It wasn’t until after, while reading a few of my favorite locals, Todd Brock at The Slice, Foodie Buddha, and Tomorrow’s News Today,that I became fully aware of the lawsuits, arrests on charges of aggravated assault, and subsequent deportation.All drama aside, what truly matters is the quality of the pizza at Fuoco di Napoli. Although the idea of the pizza sopresa was intriguing, we decided to play it safe and order a margherita and a fuoco di Napoli. 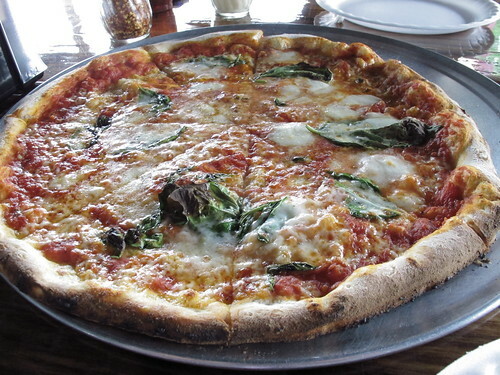 Let’s take a look at the margherita first. With a base of Antimo Capuoto 00 flour and a San Marzano sauce, this pizza is topped with the usual suspects of bufala and fior di latte mozzarella, basil, olive oil. 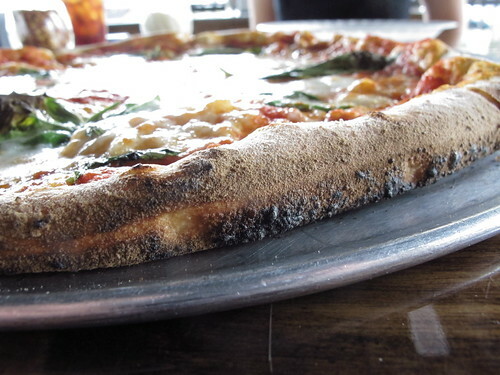 The outer crust carried a nice char, but nothing too over the top. As for the actual taste, it was bang on with bright tomatoes, rich cheese, and herby basil. 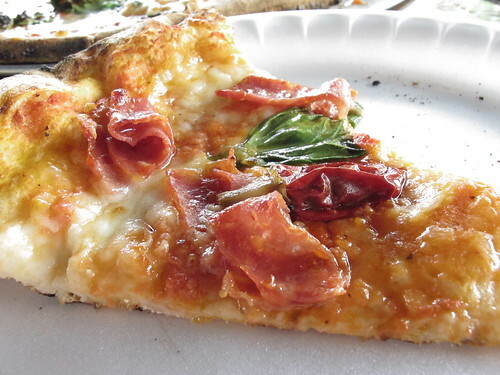 While a margherita is all well and good, I had my sights set on the Calabrian pepper laden fuoco di Napoli. Maybe pepper laden was the wrong expectation because Fuoco di Napoli certainly wasn’t generous with the peppers on this pizza. 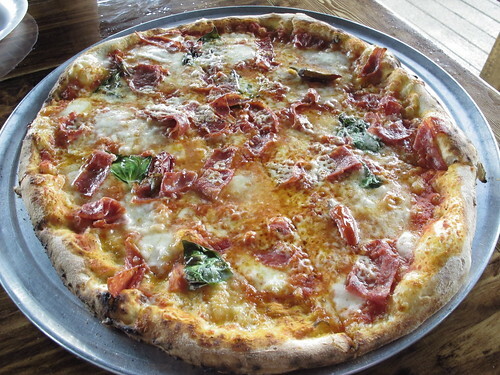 Once again the crust and San Marzano sauce provided a solid foundation, but the spicy salami simply wasn’t enough to warrant the name fuoco di Napoli. On the odd occasion when a slice did come with a pepper, the spiciness and vinegar of the pepper provided a satisfying balance to what was an otherwise slightly above average pizza. After digesting the drama and the pizza, what were we left with? Frankly, Fuoco di Napoli is another solid addition to the Atlanta pizza landscape, but, to me, it’s hardly the best in the city. 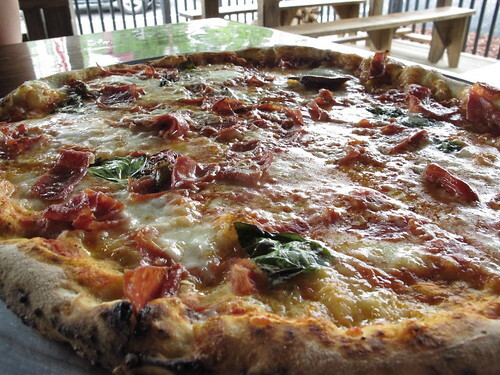 I still defer to Antico, but it’s interesting that in a matter of months Buckhead has gained two quality pizza joints in the form of Tartuffo and Fuoco di Napoli.